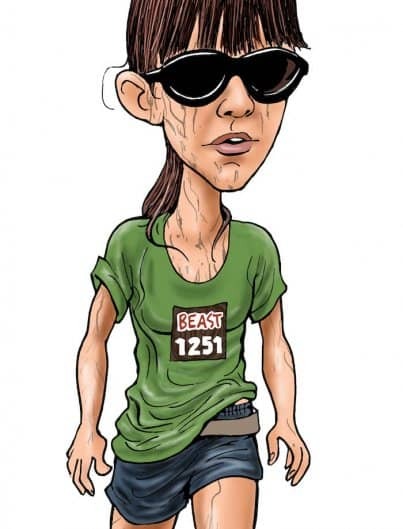 >> OUR KIND OF TOWN + PERSONAL CARICATURE artwork 12"x18"
OUR KIND OF TOWN + PERSONAL CARICATURE artwork 12"x18"
Send us a photo and our artists will transform it into a gorgeous, full-color caricature, suitable for framing. But wait—there's more! You'll also get an "OUR KIND OF TOWN" print... with your own caricature hidden somewhere in the scene! These are printed on recycled, archival-quality stock paper and ship flat in a protective envelope. Frames are not included. 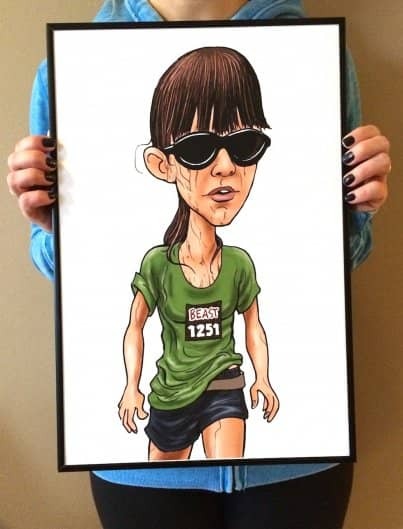 Just email your photo and your order number to: art@ilovetorun.org and we'll do the rest. You will get two prints: your own caricature and the "OUR KIND OF TOWN" poster with your caricature hidden in it. Definitely the best gift for you or for the runner in your life! Printed localy in US. Ships flat in a protective envelope.